BAILEYS IS A PERFECT MARRIAGE OF FRESH, PREMIUM QUALITY IRISH DAIRY CREAM, FINEST SPIRITS, IRISH WHISKEY AND A PROPRIETARY RECIPE OF CHOCOLATE FLAVORS. Over 75% of the raw ingredients and packaging used to make and present Baileys is sourced from the island of Ireland. The whiskey is Irish Whiskey supplied from a number of distilleries. The sugar comes from sugar cane and sugar beet. The distinct style of Baileys is derived from a unique proprietary cocoa extract recipe giving Baileys its chocolate character and essence. 220 million liters of fresh Irish milk are required annually to produce the fresh cream used in the manufacture of Baileys. 38,000 of the top-bred Irish dairy cows produce the daily cream requirement for Baileys grazing on approximately 1500 selected Irish farms mainly on the East coast of Ireland. This affords full traceability. 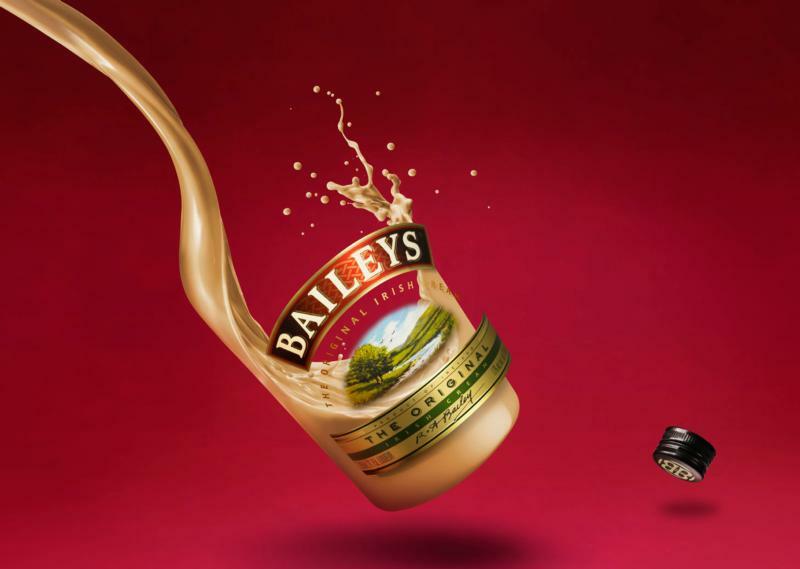 Baileys is sold in 180 countries, wherever alcohol is legally consumed. Limited edition" This new flavor combines fruit-forward strawberry flavor with the creamy taste of Baileys. It’s ideal for making mixed drinks or desserts: serve over ice or add to your favorite dessert recipes such as strawberry shortcake." Baileys Irish Cream 100ML 3Pk - Fragrant notes of hazelnut and chocolate with a sweet, creamy palate and a smooth, lingering finish. A ready to drink version of the classic mudslide made with real Baileys Irish cream. Baileys four pack sampler includes original, vanilla cinnamon, chocolate cherry, and salted caramel.